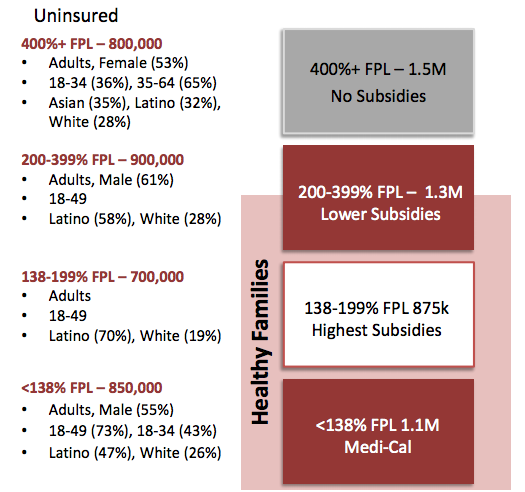 Nearly 14 percent of Californians — over 7 million people — are uninsured at least part of the year. 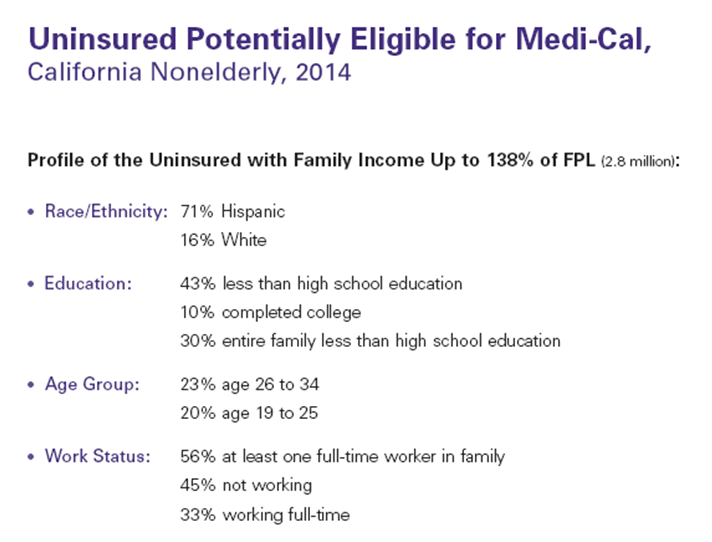 Of the uninsured, 40% or 2.8 million California citizens, have incomes of below the federal poverty level (FPL) and qualify for Medi-Cal but are not enrolled. 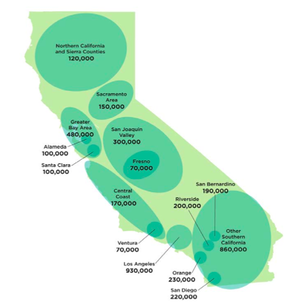 This fact highlights the outreach and enrollment challenge the Covered California health insurance marketplace faces. 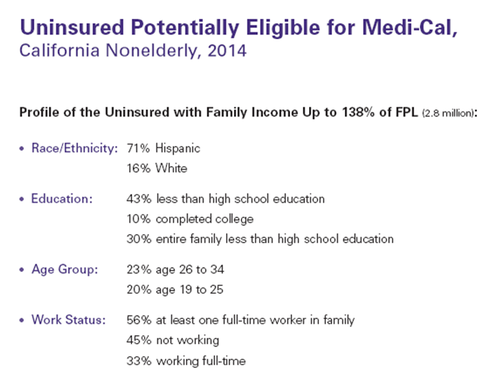 Another 12% will qualify for Medi-Cal as a result of the Affordable Care Act (ACA). Only one-fifth of uninsured Californians do not work. Nearly one-third — over 2 million people — have a head of family who is employed by a large firm. 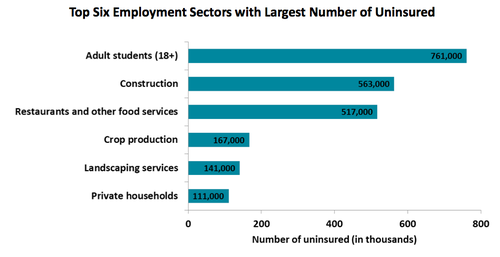 Coverage for dependents is often unaffordable for lower-income employees.